Genuine turquoise and genuine turquoise jewelry is one of the few things in the ever-evolving fashion world that has never gone out of style. The jewelry is actually as popular now as it has ever been before. Many types of genuine turquoise jewelry is available around the world. A vast array of rings, earrings, necklaces, bracelets and belt buckles are available for the connoisseur from both sexes. Beautiful artistic creations from China, Tibet, the land formerly known as Persia and the United States are very popular and very sought after. It’s important to be informed when embarking on a mission to find genuine turquoise and jewelry. 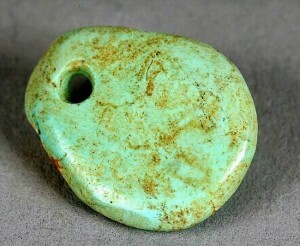 Howlite, jaspers and other stones are billed as genuine turquoise when they are actually far from it. It can be tough to tell the difference at times between what is real and what is genuine, but doing your homework and being prepared is the best way to avoid being sold and imposter stone. In addition to all the fashionable aspects that come with owning genuine turquoise jewelry, the radiant pieces also have spiritual and sentimental ties. It is no secret to those born in December that turquoise is their birthstone. Many believe that carrying or wearing turquoise will bring good health, good luck, happiness and possibly even love. Genuine turquoise jewelry’s popularity is at an all-time high, as many big-name celebrities have been spotted wearing some fashion or form of it all over the world.